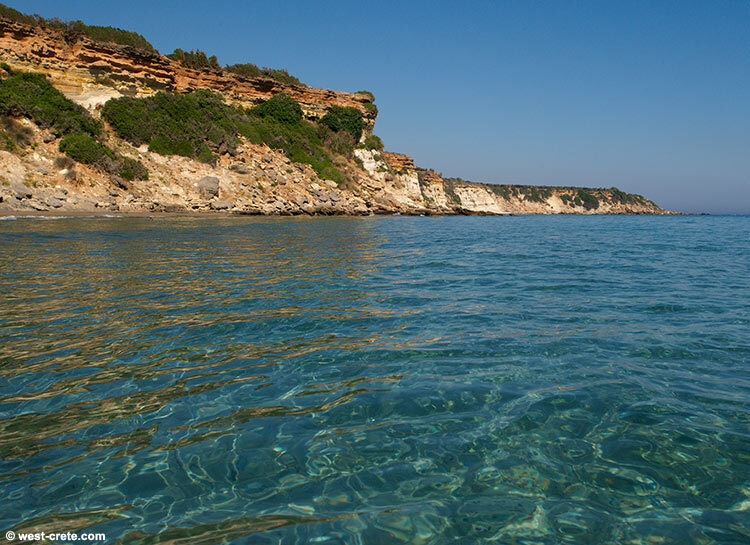 Here is another photo of the beach of Orthis Ammos in Frangokastello. I am still standing in the water and looking towards the coast to the East of the beach (you can see the very end of the beach in the left of the photo). There are a few very secluded little beaches at the bottom of these cliffs but they are a little hard to get to.